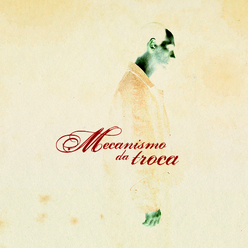 Mecanismo da troca [Swop mechanism] is a book with photographs, collages and notes, invented or revisited by Inês d'Orey, and intersected with the writing of Eduardo Brandão, Filipa Leal, Hugo Gonçalves, Jacinto Lucas Pires, Leonor Baldaque, Luís Gouveia Monteiro, Marta Lança, Nuno Sobral and Raquel Freire. Coordination by Maria Burmester. Introduction text by José Luís Tavares. Texts in portuguese.